If you’re in the market for a luxury condo, consider downtown Miami. Not only is there a high concentration of some of the most sought-after buildings in Miami real estate, but easy access to museums, the library and the arena. Life downtown is amazing – steps away from a variety of restaurants, high-end shops and the best of Miami’s cultural attractions. If urban living is your aim, we’d like to help you get acquainted with some of the most luxurious condo buildings that downtown Miami has to offer. Confirmed urbanites will love living at Paramount Bay, situated in the heart of the Biscayne Corridor, just east of the Wynwood Arts District. The building’s 47 stories hold 346 residences, all with floor-to-ceiling windows that provide amazing Biscayne Bay views. Kitchens feature stainless steel Wolf/Sub-Zero appliances, Sub-Zero wine coolers and a built-in Miele coffee system. You’ll also find Italian wood cabinets and stone countertops in the kitchen and rain head showers, surrounded by glass, in the master bathroom. Current offerings at Paramount Bay range in price from $585,000 to $4,999,000. Prices are subject to change, depending on the current market, so contact us for up-to-date availability and pricing. 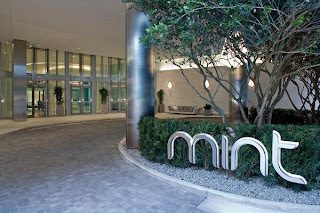 Located on 3rd Street in downtown Miami, Mint was completed in 2009. The sleek 56-story tower holds 602 units affording incredible views of Biscayne Bay. Current prices at Mint downtown range from $299,900 to $1.5 million. 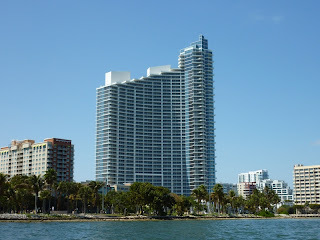 Completed in 2008, the residences at 900 Biscayne are housed in a 650-foot tower with 63 floors, making it the fourth tallest building in Florida. The massive structure holds over 500 units -- including towhnomes and penthouses -- that range in size from 971 square feet to 3,795 square feet. Each residence features one, two or three bedrooms, energy-efficient windows, private terraces, European kitchens and whirlpool tubs in the bathrooms. For added convenience, 900 Biscayne sits atop a retail center that features shops, a restaurant and an outdoor eatery. 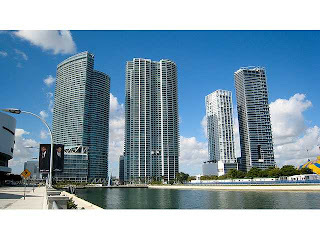 Current 900 Biscayne offerings are priced from $375,000 to $4,400,000. These three luxury complexes only represent a small handful of those offered in downtown Miami. Next week, we’ll introduce you to several others.